Just checking in here for a moment to remind y'all of a couple of things. I usually forbid myself from posting on Saturday but by golly, I just couldn't stay away today! The winner of the threads bracelet is Samantha Lee. HOLLER! We will be in touch with you to get your bracelet. 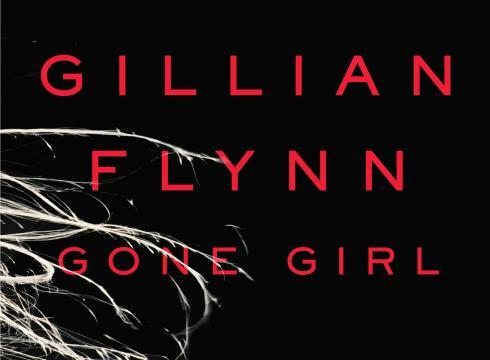 The rest of you- have you bought your copy of Gone Girl yet?!? I'm anxiously awaiting the arrival of mine in the mail. Our book club will be on February 27 so get reading if you haven't already! Also, I feel like I should give this disclaimer. A friend of mine who read it said that the book has its fair share of f words. Something you should all be aware of it before you dive in. I've been spending the morning getting caught up on AltSummit recaps. So much to learn, know, create, do. I never knew when I started blogging how totally extensive it is. There is no end to it all, but instead of making me tired, it only makes me excited. Check out Elisabeth's list of top five Alt recaps and let yourself get inspired too. Now I'm off to do some time in the gym. Which, let's face it, we all know that means I fart around with the weights for 10 minutes before I go next door and treat myself to a heaping bowl of frozen yogurt. WIN. WIN. i read gone girl and i really liked it, but it does have a good bit of f words and some ummm explicit-ish situations. ha. just a heads up! hope you enjoy!! Just loaded it into my Kindle! I know a few folks that have read it and say it's a pretty fast read. Grabbed a copy and can.not.put.it.down! Read that book last fall as well as all of Gillian Flynn's other stuff and I love her. I'm getting my copy tomorrow. I can't wait! I have quite a potty mouth myself, so f-bombs don't scare me off. I just loaned Gone Girl from a friend today! I'm excited to read it! I loved Gone Girl. It was a great book to read :) I enjoyed it very much! my husband just finished this gone girl book and said it was CRAZYYYYYYYYYYA. You will LOVE Gone Girl, so many twists and turns. It will keep you on your toes! Love this book club idea, combining blogging and books is a win/win in my eyes! Gone Girl is on my to-read list. I haven't yet but I want to. Just ordered it! Can't wait to read and discuss. I just started reading it today and it is really good so far! I'm pretty excited about this online book club idea! Got my copy Gone Girl yesterday and I'm already over halfway through it! Very, very good so far!